Hey everyone, back again, second post of the day go me! 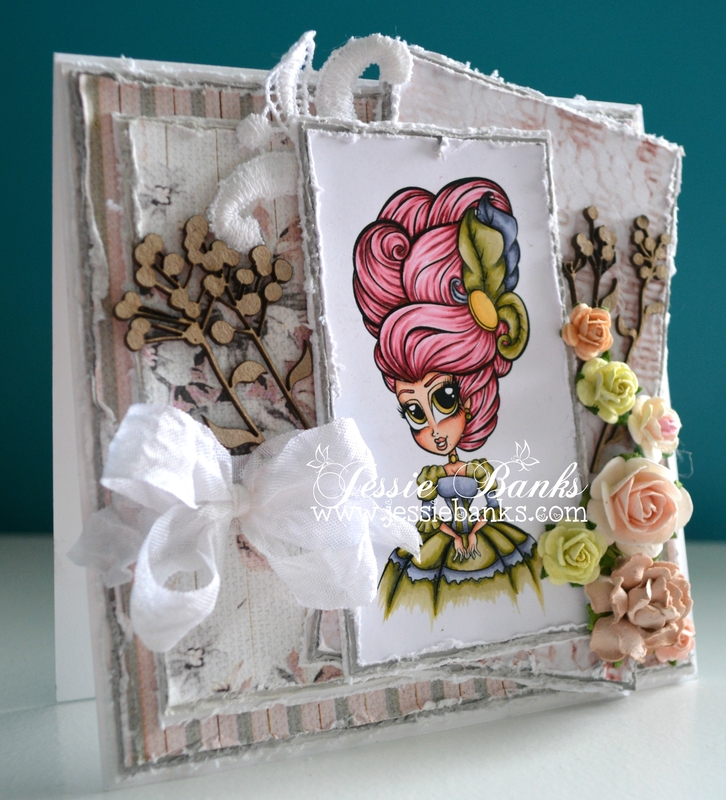 This card features Simply Betty Stamps – Victorian Betty, I coloured her up with my copics. 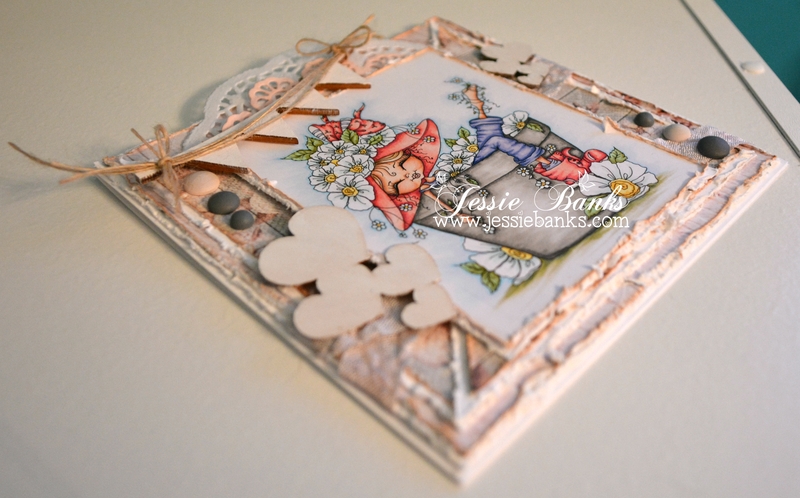 Layered pattened paper, ribbon, flowers and chipboard finish off the front of this card. Hey everyone! 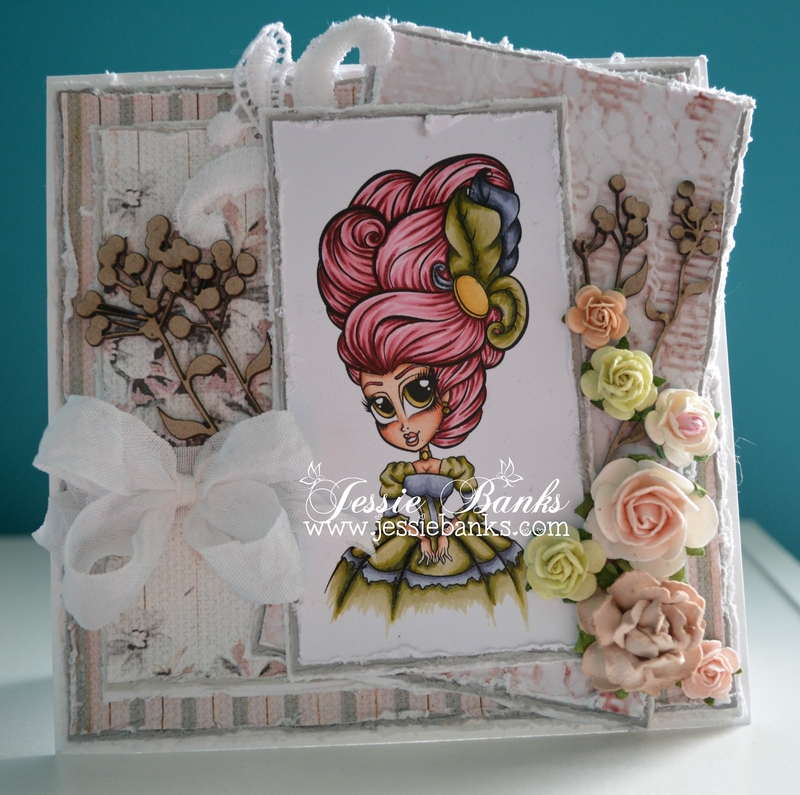 This card was made using Sherri Baldy My Besties Fancy Pants Dreaming, I coloured her up with my copic markers. This close up of my colouring has been requested by a reader, let me know in the comments if you like this addition. 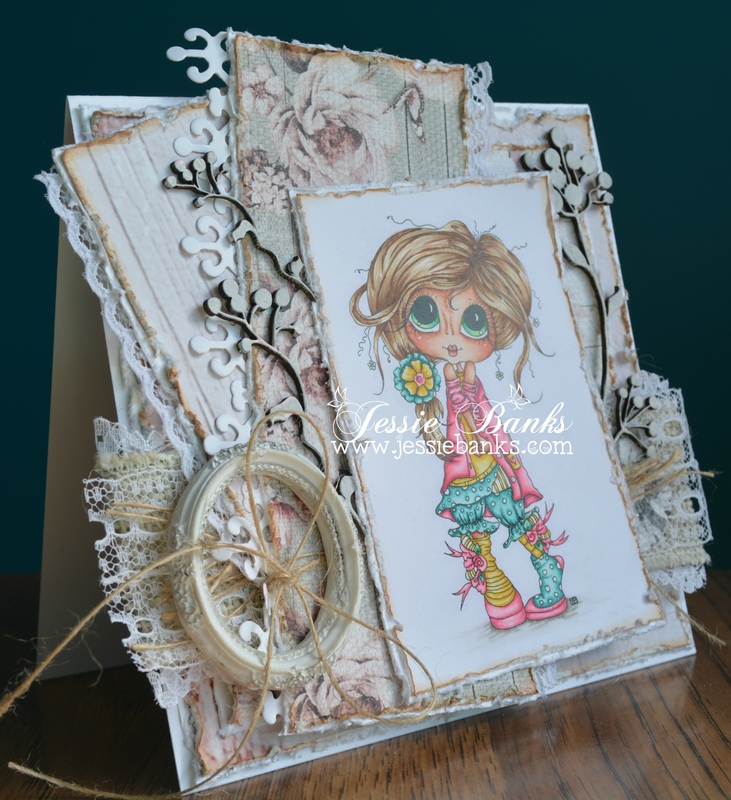 Layered patterned paper, wood veneer, wood dots twine and doilies finish the front of this card. Hey everyone! 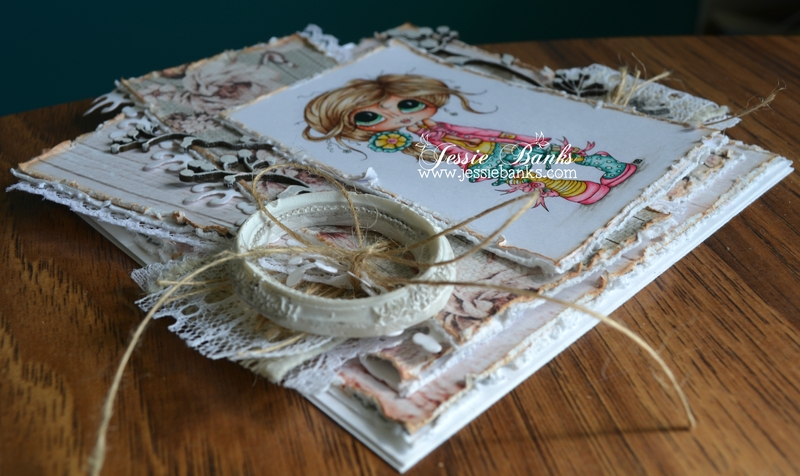 I am pretty excited to announce that I have been invited to join the My Besties French Challenge Blog Design Team. To top it off the first challenge I get to be par of is anything goes, does it get any better then that?!? Here is my first card. 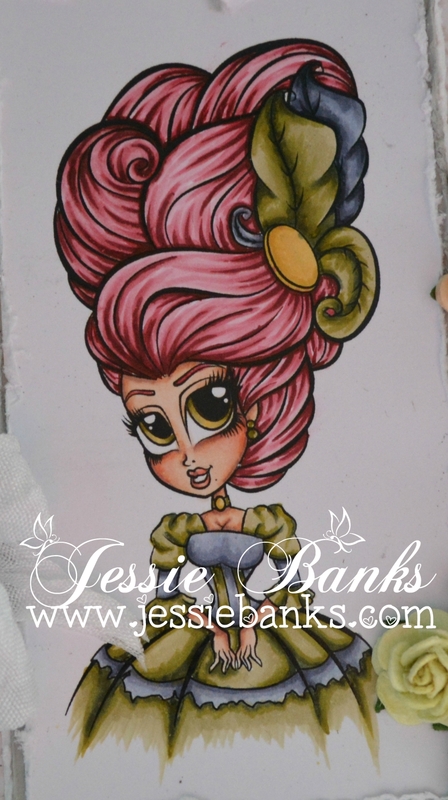 I used Sherri Baldy’s Digital Img303, and coloured it up with my copic markers. 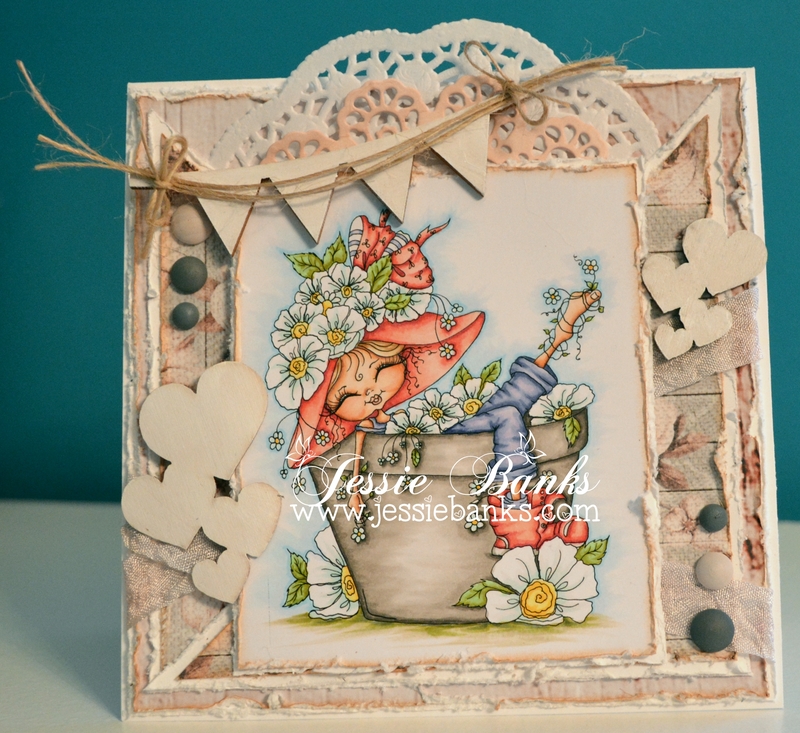 I steered away from flowers, for a change, the latered lace and burlap allows the distress patterned papers to really shine. 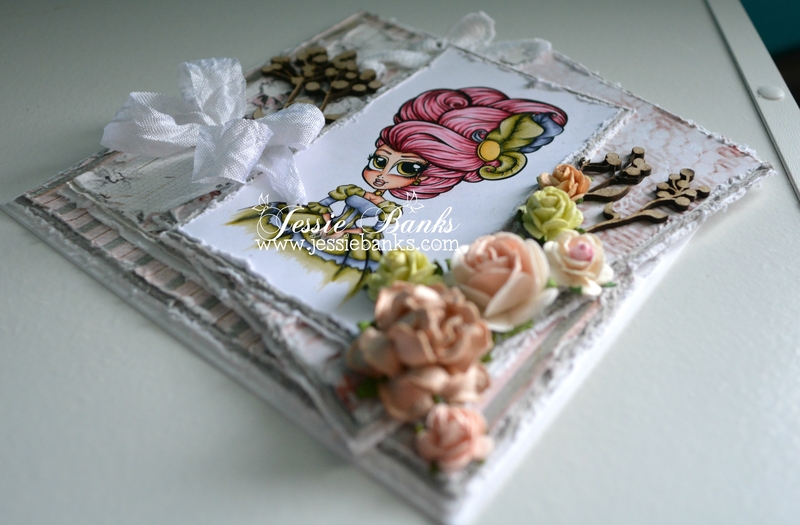 Surrounding the simple delicate blow is a Melissa Frances Resin frame.